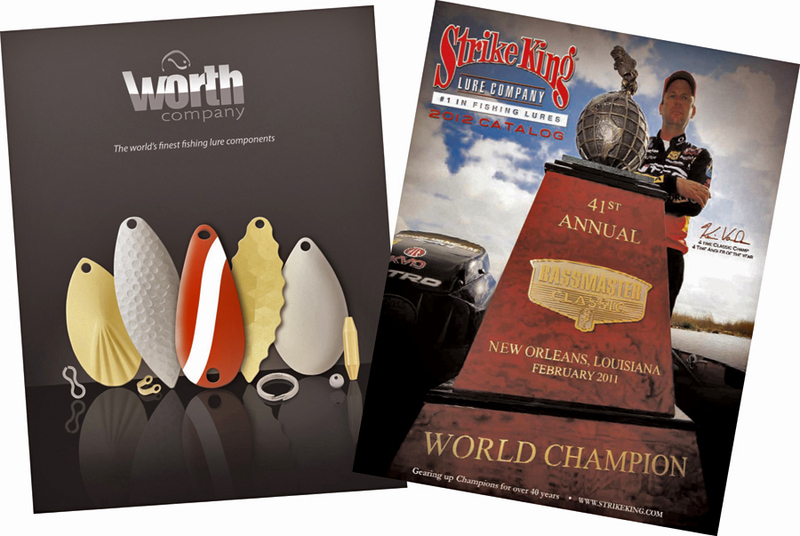 We just delivered catalogs to two major players in the fishing industry: the Worth Company and Strike King Lure Company for their use at ICAST, the world's largest sportfishing trade show, held this year in Las Vegas. The Worth Company, Stevens Point, WI, is a world class manufacturer of fishing lure components sold to lure manufacturers. 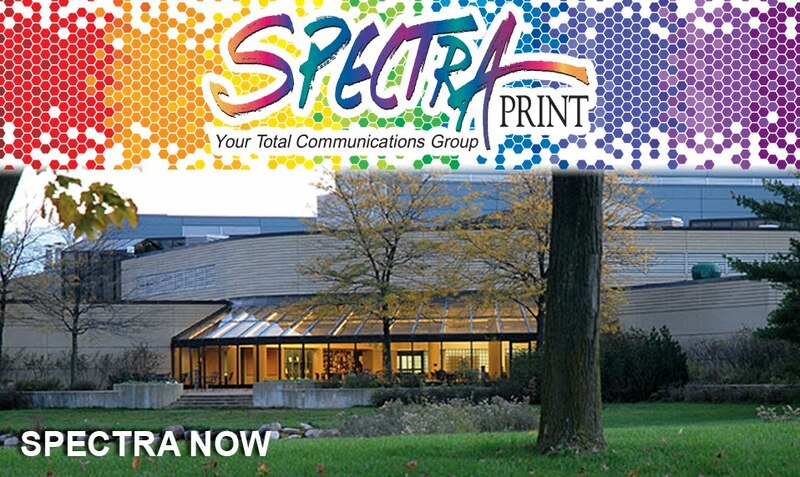 Their 112-page plus cover perfect-bound catalog was printed by Spectra Print from client furnished art files. Strike King Lure Company is an industry leader of lures and terminal tackle with an emphasis on bass fishing. 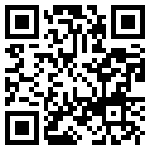 Strike King Lure Company is located in Collierville, TN. 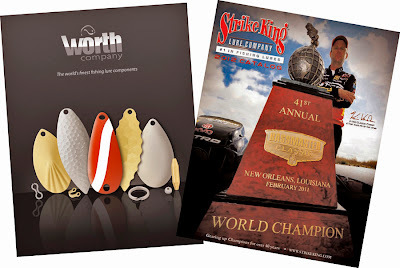 Spectra Print handled all aspects of Strike King Lure's 56-page saddle-stitched catalog from design through printing. Both companies enhanced the functionality of their catalogs, utilizing the latest in mobile technology with Microtag and QR code applications in their printed pieces. We wish success to the Worth Company and Strike King Lure Company at ICAST.